Don’t be a hater. Brussels sprouts really are delicious. Now, can someone please tell that to my husband? What about you? Lover or hater? Try this dish – it’ll convert you if you’re the latter, for sure. Wash brussels sprouts. Trim ends and remove any discolored leaves. Cut in half, top to bottom. Heat oil in a large skillet over medium heat. 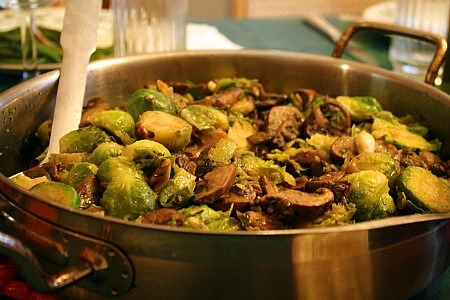 Add brussels sprouts and cook until they begin to color, about 3 minutes. Add mushrooms and garlic and saute another 2-3 minutes. Add 1/4 cup chicken stock and cook until it evaporates, stirring over medium heat. Add soy sauce and cook, stirring occasionally, another 2 minutes. Add salt and pepper to taste. Remove from heat. Drizzle with truffle oil and toss to combine. Serve immediately. 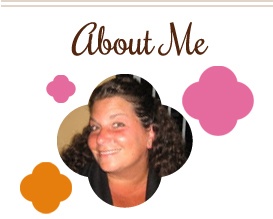 This entry was posted in mushrooms, QuickAndEasy, side dishes. Bookmark the permalink. I’m a Brussels sprouts lover! I think when people hate them it’s because they don’t have delicious recipes like this one when they give them a try. This recipe looks like it could convert anyone. I could eat that whole thing all by myself. Why would anyone hate brussels sprouts. Great recipe! Honestly, I have been a Brussels sprout hater for all of my life. Except there was one time that a friend of mine made them and they were delicious (and I was in a position where refusing to eat them would have been hugely insulting). So there is hope for me. Your treatment of them sounds quite tasty. I do love mushrooms…..
Super recipe – love the addition of soy sauce – my family is on the fence with Brussel sprouts but I think this will get them excited! I love brussel sprouts even when they’re just nuked. Can’t wait to try this recipe and NO my husband won’t even taste them.